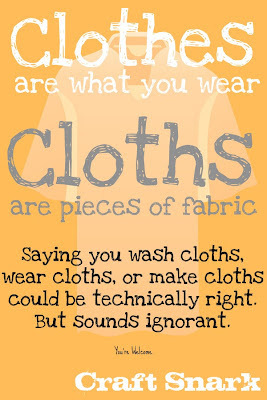 Clothes are what you wear... cloths are pieces of fabric. I don't know why this bugs me so much, but I unfollow every. single. blog. that can't get this right. 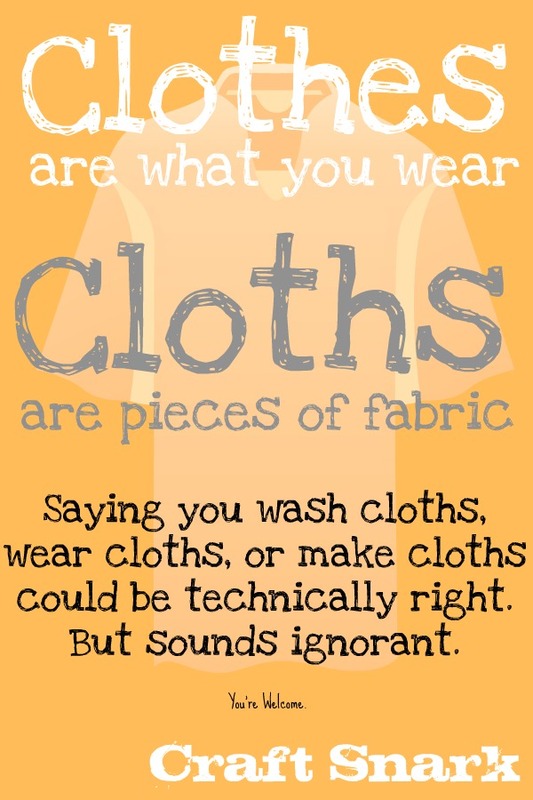 Because if you spent all that time making some new "cloths", I just don't want to know about it.